Mega Sale! 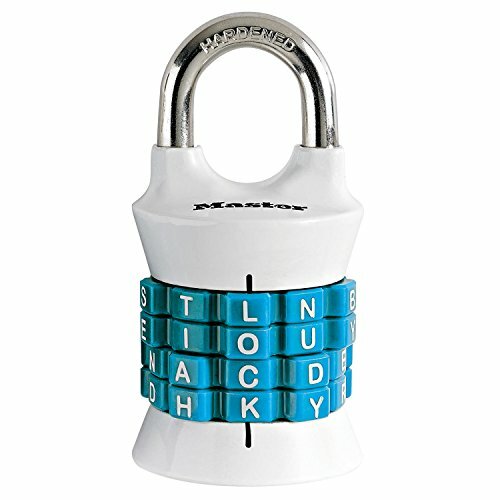 Save 28% on the Master Lock Padlock, Set Your Own Word Combination Lock, 1-1/2 in. Wide, Assorted Colors, 1535DWD by Master Lock at Elect Forum. MPN: 1535DWD. Hurry! Limited time offer. Offer valid only while supplies last. The Master Lock 1535DWD Set Your Own Letter Combination Padlock features a 1-1/2 in. (38mm) wide metal body for strength and durability. The 1/4 in. The Master Lock 1535DWD Set Your Own Letter Combination Padlock features a 1-1/2 in. (38mm) wide metal body for strength and durability. The 1/4 in. (6mm) diameter shackle is 15/16 in. (23mm) long and made of hardened steel, offering extra resistance to cutting and sawing. The dial grip points provide accurate dialing and keyless convenience. The Limited Lifetime Warranty provides peace of mind from a brand you can trust.